These generally have very little volume in the toe box, as they’re designed for your toes to be quite flat, and as such a bit more comfy. The sole will generally be quite flat, or even rise up a little around the toes, again for comfort. They’ll be pretty symmetrical and the heel will go straight up at the back. 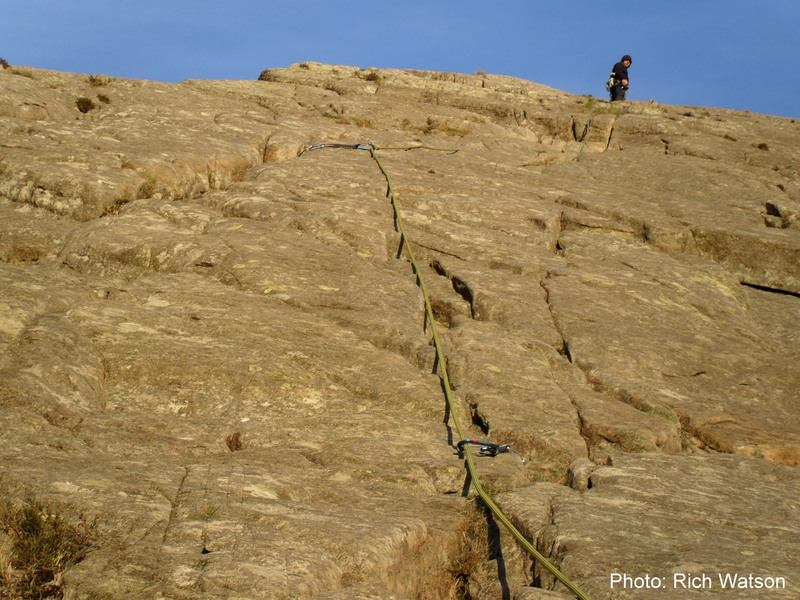 For examples check out the Sportiva Cliff, Five Ten Spire and Scarpa Thunder. For this group, grab a pair of your street shoes. Do it now. Now look at them, and you’ll see what i mean: they go up at the toe, because they’re designed to bend in the middle (at the metatarsal head if you want to be technical), so anything that stayed flat or turned down would be uncomfortable. They’re pretty straight, as your foot is pretty straight, and in a street shoe, or beginner shoe, there is not great advantage in bringing the heel closer in to the centre line of the body. Put simply, these grade of shoe are designed either for people who aren’t used to the perculiar fitting you get with climbing shoes, or for people who want to wear them all day without taking them off, on a big mountain route for example. If you’ve not had rock boots before, start with Beginner ones. Pretty much the opposite: down turned toe, asymmetrical, “sling shot” heel to push the toes forward are all features in an advanced shoe. They are not designed to be comfortable but in truth are also not designed to be worn for long periods of time, or for easier grade trad climbing. I’ve done a three pitch VS in a pair of Sportiva Miuras, and soon began to regret my possession of strictly technical bouldery shoes. I’ve bought another pair of these since. There are reasons for the uncomfortable aspects to these shoes too. 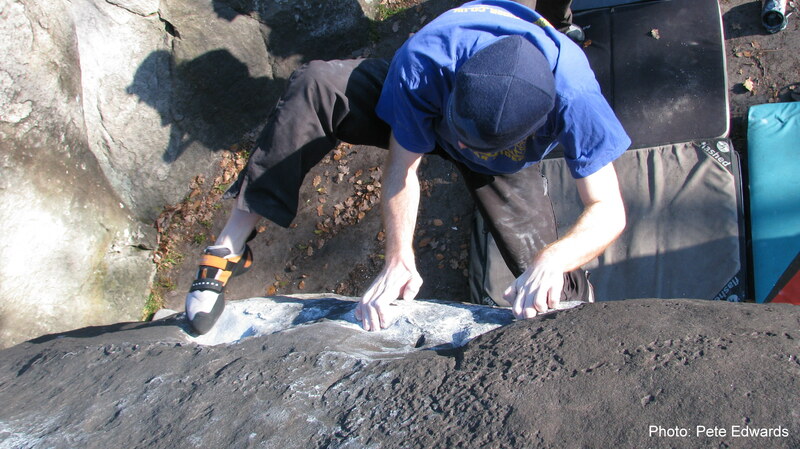 Toes turn down for two main reasons: firstly to enable the climber (normally on a boulder or steep sport climb) to “claw” at the rock and keep the feet on when climbing a roof. As soon as the feet pop off the wall, while looking cool and enabling the power scream, all body weight is now being held by the arms, and this WILL tire you out quicker. You legs carry you round all day without batting much of an eye, your arms just aren’t designed to do that. So keeping the feet on is important. Secondly, it allows more power to go through the toes and into the wall. 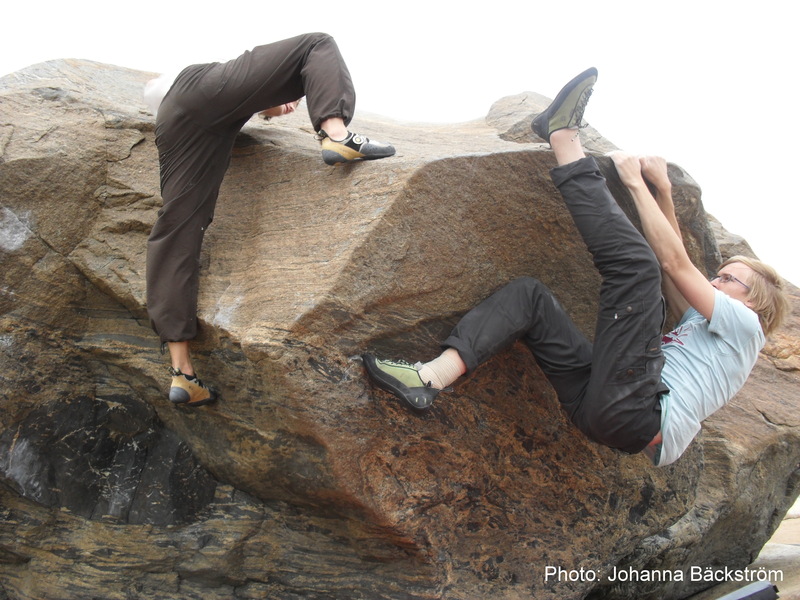 Anyone looking at these shoes should’ve experienced committing to a foothold and finding it stick, and it’s the same principle: if you put pressure through the foot hold, it will increase friction on the rock and is more likely to stay there. A sling-shot heel will shove the toes forward to try and accomplish the same sort of thing. You’ll also find with an advanced shoe that the volume in the toe box is much higher to make room for those bent toes, which is another thing to watch out for. Pretty much sit in between, and it is this group which tend to be for most climbers. Same as with ski boots go for something that’s the right width fitting for your foot – Sportiva are generally narrow, Scarpa and Five Ten a bit broader and so on, but take all this with a pinch of salt, as a lot of brands have begun to diversify to accommodate more climbers with their brand, so will have different lasts for different climbers. While i generally say that Sportiva are quite narrow, the Katana Lace and Miura Velcro are much broader and squarer than the Miura Lace and Katana Velcro! Good examples of Intermediate shoes might be the Scarpa Force, Boreal Joker/Silex or maybe Evolv Bandits. Go for an established brand, not Decathlon own brands etc, as the quality will pay dividends in the end. This is also the only time you will hear me discuss the qualities of rubber, as the own brand shoes i’ve seen get their rubber from god-knows where! They might be cheap, but it’s for a reason, so spend the extra and enjoy the perks of something that works. Other than that, ignore all the hype you hear about rubber. 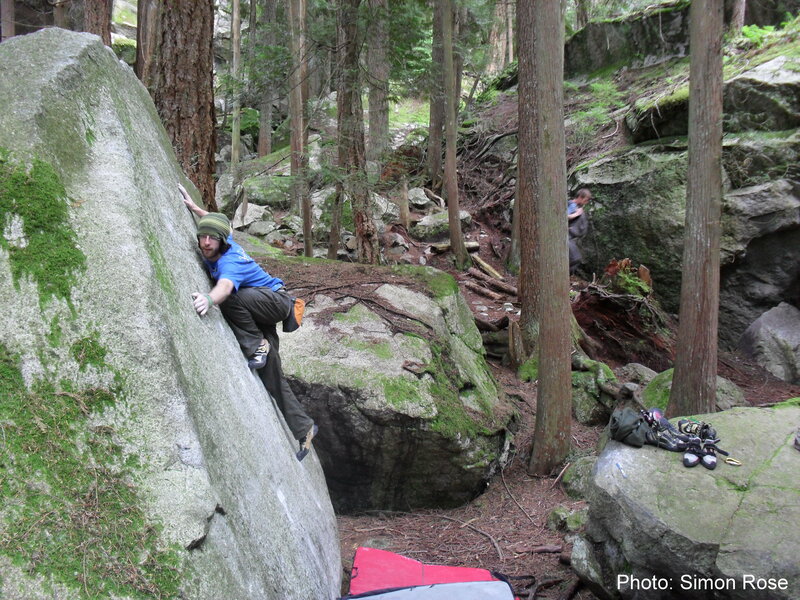 Yes, in the lab, the 5.10 might be stickier, and the various climbing forums are full of discussions about Stealth versus XS-Grip, but lets face it, once you’re on the crag/wall your footwork has to be so good to be able to notice the difference that other factors like fit and brand loyalty count for far more. 5.10 shoes at the moment do not really fit me as well as some Sportiva ones, so the rubber is irrelevant really, it’s just marketing. There is an age old adage that is still floating around in some places that says “fit your rock boots two sizes too small”. Historically this does make sense, from the way the shoes were constructed with a stiff board-lasted midsole but they don’t really make shoes like that any more, and they were widespread criticism of people destroying their feet, so most companies now go with tight but not painful, no dead space in the shoe. Begin with your normal shoe size (or measured size if you prefer) and work up or down from there. For most brands, i go one size down. 5.10s new technical range come up tiny, so i wear the same size as my street shoes, and Sportiva changed the way they size to work around the myth, and i do go two sizes down as they come up huge! There is no right answer here, and i try to try a half size up and down just to be sure. This last advice comes from the manufacturers: 5.10 have begun to print “Pain is Insane” on their rock boot boxes, and as i have asked most of them, they all say the same (apart from Sportiva, as mentioned above).If a sales assistant pressures you that much to go into shoes that are ludicrously small, either get them to try them on too or leave, as Dylan said, the times they are a changin’. The laces-velcro debate is also an interesting one, and i boil it down to this succinct difference: velcro shoes you can get off really quickly, say when bouldering, or on a belay ledge and laces give a much more precise fit. Slip-on shoes are your other option, but are certainly not my favourite. If the fit is good, they’re fine, and can be really nice, but if not, or if they stretch, they can spin on your foot, slipping off the holds and there’s nothing you can do about it but curse the convenience culture. I’ve been stung with this before and subsequently am very cautious about spending money on Slip-on shoes. Stretching is another popular talking point when it comes to shoes and there’s a lot of advice given on this particular perculiarity to rock shoes. In general, synthetic shoes don’t really stretch that much, but remember that with constant pressure even the rubber will give out so bear that in mind if they feel a bit too tight in a particular spot but otherwise great. Leather shoes will stretch more, but when it comes to quantifying this, remember that each piece of leather is different, and even the greatest “cutter” (the guy in the factory that “reads the leather” to chose pieces without blemishes) won’t be able to get every shoe with the same level of stretch. As above, they will stretch where there is pressure so no matter how small you go, eventually they’ll be bigger than they were. Leather versus synthetic is similar to the comment i made on differing rubbers: the difference is generally negligible compared to the overall fit of the shoe. A lot of shoes these days will use a combination of both, and for those of you with strong ethics when it comes to vegetarian or vegan footwear, you’ll have to do your research carefully. Finally remember to tailor your shoe to the nature of the climbing you are doing as well as the difficulty of the routes you’re on. 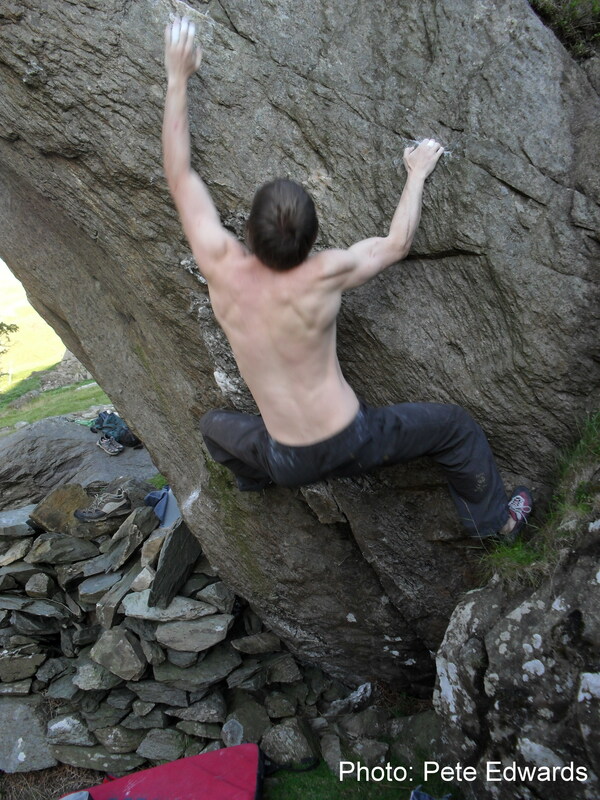 An individual move on each discipline of climbing is harder than in others, with the basic hierarchy being trad being easier (as there are other factors at play in trad climbing), sport being next (it’s quicker than sport, with no gear placements) and bouldering being the hardest individual moves needed (as there’s normally only about half a dozen of them!). Take this into account when you’re picking which category to focus on. So there you go, simple eh? Well, no, not really, and these are only points to guide you to finding the right pair for you, and stop you from annoying the sales assistant by asking to try on every pair in the shop! Ask the climbers in the shop what they climb and what they wear, and do the same with your friends but remember that unless you’re planning on borrowing their feet too, that what fits them may not fit you. Like i said before, if you can try a half or full size up and down from the ones you think are right, as it takes two minutes and can help cement your judgment, and i normally try on a couple of styles for the same reason. If you’re reading this because you keep going through the toe around the end of the nail on the big toe, it may be worth either buying shares in your preferred brand, or working on some footwork technique too. I am of the school of thought that you can always improve your footwork (myself included) and it saves you money in the long run. Also, if you’ve got this far down this long article and are still a bit confused, feel free to e-mail me at chezdelabloc@gmail.com and i’ll try and help out as much as i can.